Found a quiet field a few towns over from me full of wildflowers. 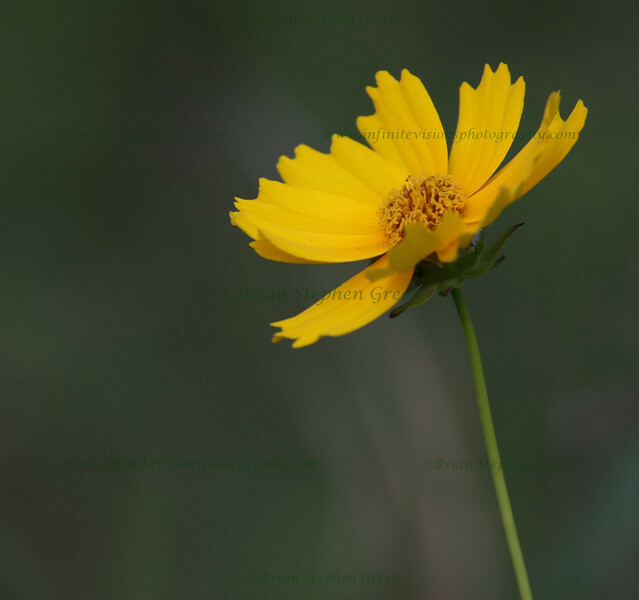 Have a feeling a few visits are in my future :) Yesterday's early evening hike yielded this Lance-leaved Coreopsis. Thanks to everyone for the wonderful comments on yesterday's Loosestrife. Taking a nice day trip to PA with my wife today. Hope everyone has a fantastic Saturday! Love this one, how do you keep the flowers from moving in the breeze? Beautiful capture! Love the color and simplicity. This is simply beauty! Great compsition and I can feel a quite atmosphere. Love the simplicity and of course the rich background is great. I am a PA native! Super framing and dof on this shot. The flower really stands out nicely.